There were many uplifting moments last week for progressive whites, young people, women, and people of color. The week was filled with energetic political events, parades, and plenty of moments that did more than entertain, they inspired. Looking forward, the progressive network now has a unique opportunity to expand, deepen and strengthen its proven game-changing system which turns out record levels of voters of color (VOC). As demonstrated in 2012, these VOC have the power to elect candidates — including African Americans — to the mayor’s office, state capitals, U.S. Congress and the White House. On the horizon is the important 2014 mid-term elections where candidates of color are poised to become U.S. Senators if this voter power is tapped. Newark Mayor Cory Booker represents a perfect example of what can happen in 2014. His state of New Jersey — once known as the “pathway of the revolution” is still a symbol of patriotism. Booker’s use of twitter to rescue a freezing dog was an example of this new pathway. It demonstrated how new media, politics, and old fashion values can create a new brand of social patriotism. 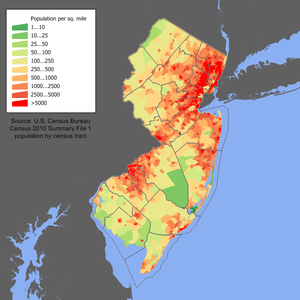 New Jersey has experienced significant demographic changes which has impacted its political environment. The state has the seventh largest Latino population in the United States. Nearly 25% of NJ’s registered voters are VOC with the majority of them Democrats. Among voters who are not registered, about 33% are people of color. That means close to 32% of New Jersey’s low propensity voters are VOC. How does the fact that voters of color constitute a significant vote share affect New Jersey politics? One example is Mayor Booker doing well against other possible candidates for the 2014 U.S. Senate race. A new poll by PowerPAC.org shows New Jersey Democrats overwhelming supporting Mr. Booker over Rep. Frank Pallone, Rep. Rob Andrews, and State Senate President Steven Sweeney. New Jersey voters want to elect Cory Booker to the U.S. Senate by a margin of two to one. The poll also confirmed that Booker would easily defeat incumbent Senator Frank Lautenberg. What’s driving his numbers? The poll shows Booker’s advantages holding across geography, populations, and issues. Also, his social media savvy helps to keep his brand strong and get his message out. As mentioned above, after seeing a tweet about a freezing dog, Booker took immediate action to rescue man’s best friend. That kind of social patriotism resonates strongly with voters. By contrast, Pallone, Sweeney and Andrews, are not very well-known among the state’s registered Democrats, despite Pallone and Andrews having represented NJ in Congress for over two decades each, and Sweeney leading the state’s legislature. Understanding the nature of VOC civic engagement is essential in today’s new political landscape. In the past, authenticity may have been a second tier concern but it has become the loadstone of demographic politics. Appealing to pockets of VOC was once relegated to the campaign’s “base vote” operation. Now it has become the soul of tactical electoral strategy. Campaigns are beginning to understand that the most effective way to expand the electorate and mobilize communities of color are with conduits that intimately understand those communities. There are a few ways to ensure that VOC achieve their 31% vote share from the past election. The common denominator is the candidate. Every political leader must engage communities of color with authenticity and social patriotism. For some, embracing the new realities of politics will require them to change. Overtime they will find it easier to step outside of their comfort zones and themselves. Then their actions will make a difference for others as well as themselves because it is the responsible thing to do. That’s popping the clutch.